Titers are up and single-use is widespread, but commercial drugmakers will continue to use stainless steel bioreactors for unmet medical needs, GE’s Parrish Galliher told BPI West delegates. 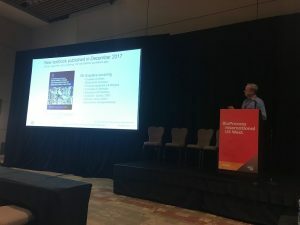 Industry convened in Santa Clara, California, for BPI West this week to hear the latest bioprocessing developments and share manufacturing strategies. While much of the attention focused on productivity improvement and disruptive technologies, Parrish Galliher, CTO of Upstream at GE Healthcare Life Sciences and founder of Xcellerex, told delegates not to lose sight of the role traditional large stainless steel bioreactor tanks will play in supporting future drug production needs. “We grew up with very successful stainless steel facilities for multi-ton capacity. These have produced, as we know, all the blockbusters that we have today,” he told delegates. The advent of single-use systems and the well-documented benefits it brings has taken some of the shine off stainless steel over the past decade. But when it comes to commercial production, single-use bioreactors have always suffered from size limitations due to pressure challenges from the increased weight of the liquid. (ABEC does offer 4,000 L disposable systems, but 2,000 L is generally viewed as the upper limit among vendors and users). He noted the recent announcementfrom WuXi Biologics that it has achieved cell culture productivity for an Fc-fusion protein of 51 g/L potentially and is confident it can be scaled up using its 4,000 L single-use process. “We project that based on these rates of titer increases I would expect to see 100 g/L by 2020,” said Galliher. 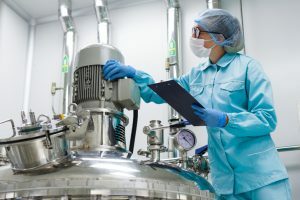 But despite the technology and titer advances, Galliher told delegates stainless steel tanks continue to be used to make the top-selling biologics, as well as produce “very efficiently” the biosimilar products which have entered the market over the past decade. This will continue in the short and long-term, he continued, especially as new biologics to treat high patient population diseases such as Alzheimers, dementia, cancer and diabetes move through the clinic.